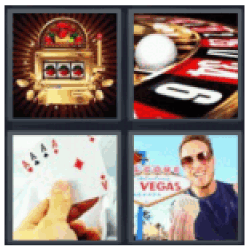 4 Pics 1 Word Slots. Roulette. Four aces. Man in Vegas.